Even experienced daters are often left with questions on the process and the games that are played. Over the span of 30 years I have been on well over 100 horrendous dates– and lived to tell about it!! I’ve learned much and impart that wisdom throughout the hilarious pages of Stupid Cupid as only a SWF comedian can! This is an easy read, written in snippets, each one immediately followed by a moral so others don’t have to suffer as I did! It took two years to complete and I’m very proud of what I’ve accomplished, especially since people seem to LOVE it! The book currently has a 4.9-star score on Amazon.com! Stupid Cupid ~ A Survivor’s Guide to Online Dating is a hilarious self-help relationship book offering practical advice for both men and women. A fun read for any adult, it chronicles 100 really awful dates I’ve been on, 100% true! Each snippet (easy reading!) is immediately followed by practical advice. Married folks tell me it gives them a new appreciation for their spouse (It’s a jungle out here!!). Online dating is the modern way for singles to meet– very topical!– but it can be daunting if you don’t know the ropes! Alison is giving away a print copy of Stupid Cupid – just leave a comment on this post to be eligible! Hope to see you on Saturday, December 1 for the RI Author Expo! Karen A. Gasperini has been telling stories to children for many years. She just recently started to publish her stories for all to enjoy. Her series Arianna’s Magic Boots are all based on her daughter Arianna and herself from their experiences as a child. Karen used to wear leg braces (AFOs – Ankle and Foot Orthoses). Arianna, who is now sixteen, still wears them, and shares the same rare genetic disorder called Beals syndrome as her mother Karen. They also have severe scoliosis, anxiety, asthma, and club feet. Karen’s main character Arianna wears leg braces, too. She calls them her ‘Magic Boots,’ and with them and her imagination she goes on adventures. All she has to do is close her eyes, stomp three times, and say “Away we go,” then the adventure begins. Karen has been spreading empowerment to everyone she meets, helping children see and understand we’re all special in some way and you should never let anyone or anything stop you from shining. Her series Arianna’s Magic Boots won the STORY MONSTER LLC 2018 Purple DragonFly Certificate of Excellence in children’s literature, Honorable Mention award for Special Needs/Disability Awareness award. Karen is giving away a copy of her book to one lucky winner. Just leave a comment on this blog post and you’re entered. Hope to see you on Saturday, December 1 for the Rhode Island Author Expo! 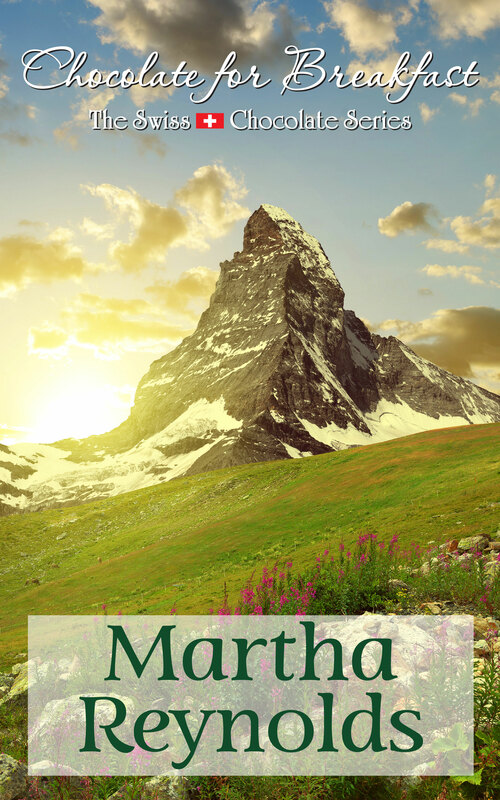 For those of you who intently follow Martha Reynolds Writes, you’ve probably read my posts in the past and know that working as one of Santa’s elves is rewarding, but not always easy. This year is no exception, but not because I spent months slaving over another storybook, or have a bunch of kids’ tales to tell. Now I finally have activity books to go with each of my storybooks, ‘Post’ Mark—Santa’s Misfit Postman, and ‘Post’ Mark—The North Pole Postman Visits Rhode Island. While very exciting, it was much more of a feat than I had ever imagined. “How hard can it really be to have my illustrator draw a bunch of pictures for a couple of coloring books,” I thought. That was until I had to come up with 32 different creative ideas for the activities, and give the illustrator instructions on what I was trying to achieve with each one. It was a part of my brain I hadn’t used before, or certainly not for a while. As a writer, I’m used to conveying messages with words, and this had to be done strictly with black and white drawings. I also wanted to tie the activities in with the common core, so teachers could use these books in their classroom. Not only should the activities be fun, but they need to have an educational purpose. I am very lucky to have an illustrator, and a graphic designer who were both patient, and helpful throughout the editing process. With their tremendous help, we were able to produce coloring and activity books that hit the mark. Now, we should be all set when book number three is written, and hopefully can produce the activity book simultaneously with the storybook. My book giveaway for 2018 will be a copy of both activity books. Please visit my website, www.northpolepostman.com if you are interested in purchasing ‘Post’ Mark—The North Pole Postman Visits Rhode Island, or ‘Post’ Mark—Santa’s Misfit Postman. Hope to see you on Saturday, December 1 at the Rhode Island Author Expo! Like millions of Americans, do you suffer from sleeplessness? Do you struggle to understand why you can’t sleep? What if everything you know about sleep is wrong? conversation from the ‘pop a pill’ mentality to finding balance and clarity, key elements for living the best life possible. Waking up one night for the eight hundred billionth time inspired my writing about sleep. I learned a lot. Perhaps you will benefit from my unique look, where sleeplessness becomes not a disease to be fixed by traditional pharmaceutical methods, but something to identify, manage and work to resolve the stressors that take us out of balance. My first book, Claiming Space, delves further into how to do so. Pat Hinkley holds a B.S. in Nursing from the University of Massachusetts and a Master’s degree in Holistic Studies and Psychology from Lesley University. She lives near the ocean in southern Rhode Island with her doodle dog and fluffy gray cat. Pat is giving away a print copy of Chasing Sleep – just leave a comment! World War II certainly had its share of deserving heroes and heroines, many of whom have received their due recognition. But how many civilian women can say they saved the lives of at least 250 downed airmen in just over two years? Code Name Lily takes you on an unforgettable journey from Belgium, into France, and over the Pyrenees Mountains into Spain. An extremely clever and persuasive young Belgian nurse outsmarts the Nazis time and again, risking her life if she is caught, but protecting every airman she successfully aids to evade the Germans. Code Name Lily is based on the true story of Micheline “Michou” Dumon-Ugeux, a legend in the Comet Line escape network from 1940-1944 who went only by the name of Lily. You too will fall in love with Lily. She may have stood only five feet tall, but she was a giant of a woman. Julien Ayotte is the author of five novels, including the award-winning Flower of Heaven and Dangerous Bloodlines. Code Name Lily is his first historical fiction based on a true story. His mother emigrated as a child to the United States from Belgium just after World War I, so the themes and places in this book hold special meaning for the author. Julien’s other novels include A Life Before and Disappearance, all Amazon best-sellers and award-winners with hundreds of 5-star reviews. To learn more about Julien and his books, visit his website, www.julienayotte.com. Julien is giving away a print copy of his new novel Code Name Lily. Just leave a comment on this post and a winner will be chosen at random next week.